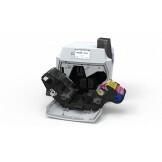 Fargo CMYKOK Pro Lx & Pro L printers Full Color Front & Black Resin w/clear overcoat on bac.. 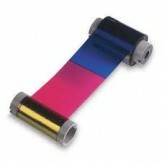 The Magicard Helix Printer Ribbon Set includes;-4 each YMCK 1000 prints and 4 Re-Transfer 1000 print.. 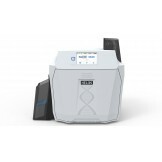 The Magicard Helix Printer Secure Ribbon Set includes;-4 x YMCKS 750 prints and 3 Re-Transfer .. 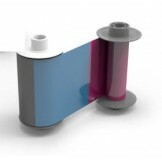 The Magicard Helix YMCK Ribbon1 x YMCK ribbon 1000 full color prints This YMCK ribbon must be used t..
Magicard Helix Re-Transfer Printer Single SidedRe-transfer printers are the preferred method for pri..
Magicard Helix Re-Transfer Printer Double SidedRe-transfer printers are the preferred method for pri..